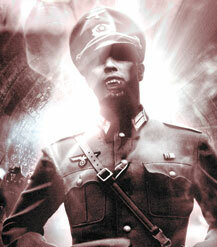 Stealth Media group is moving forward with Fangs of War, a World War II horror-actioner, November 5th. The film is a re-imagining of Dracula and will bring principal photography then in Toronto with stars Tom Felton (Rise of the Planet of the Apes, Harry Potter), Sean Clement (Flash Point) and Gia Skova (Azienda). The lead roles of Harker and Dracula will be announced shortly. The Nazis have Count Dracula in their grasp and are experimenting on him at the castle. A Special Forces Team is sent to retrieve Dracula without knowing what they are looking for or what horrors they will discover. The premise soon becomes clear – The Nazis want to extract the secret of immortality from Dracula; and the Allies want to stop the Nazis from achieving everlasting life. The Soldiers simply want to survive and escape the castle. Jim Donovan (Pure) is directing from a screenplay by up-and-coming Geoffrey Gunn (Siren). Visual effects will be done by in-demand VFX studio Intelligent Creatures (Watchmen) and the action sequences will be designed by Jennifer Phillips (Thor, 300).